In the warmer months, hosting an outdoor party is a great way to get friends together. 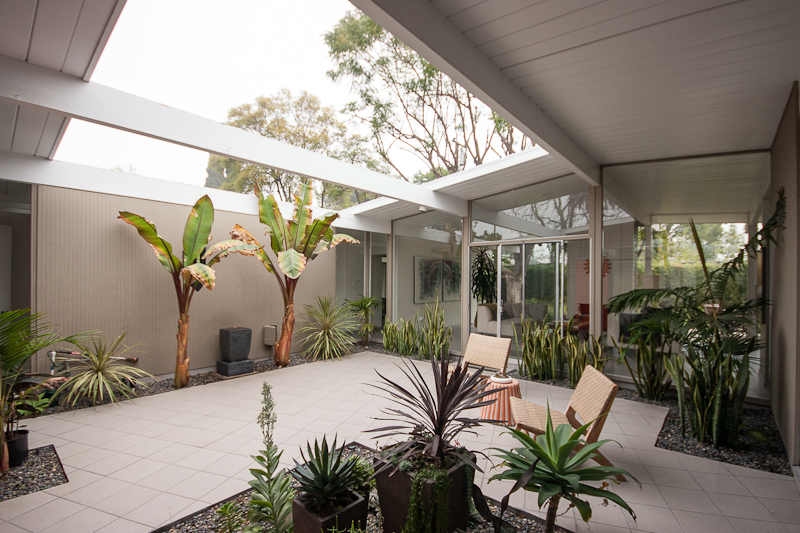 Whether you’re hosting a Cinco de Mayo party, a Memorial Day shindig, or an Independence Day celebration, doing it outside is one of the great joys afforded to Eichler homeowners. Plus, there’s just nothing like the California climate. Hosting such a get together is easier than you might think, especially if you have an amazing atrium to work with, as many Eichlers do. Start by opening the doors to the atrium so that traffic flow easily moves between the indoor and outdoor areas of your home. From there, follow a few guidelines to make the party one to remember. They may seem like a small thing, but invitations are essential to any party. The language and design of the invites cue how people will dress and what they will expect when they arrive to the event. Take a small step towards being green by sending out electronic invitations or setting up an event on Facebook or another social media site. In the invitation, be sure to include any information that would be helpful to guests. For instance if it’s a themed party or if it will be particularly fancy, be sure to tell your guests. Directions are always useful, and you might want to mention whether or not it’s a kid-friendly event. If it’s a potluck party, ask guests to submit their dish name when they RSVP so that you, as the host or hostess, can fill in with side dishes or entrees if the menu is coming out slightly unbalanced. Sure people are going to be moving in and out of the space, but when they want to relax for a while, your guests are going to need someplace to sit. 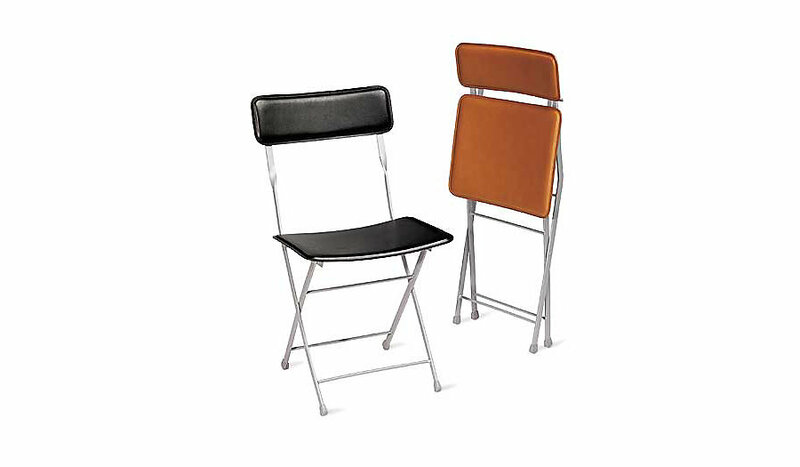 A great solution to seating is a set of folding chairs, but they need to be stylish. We love these Lina Folding Chairs from Design Within Reach. They’re chic, and as versatile as they are useful. Made from leather and powder-coated steel, they have a clean, modern line to them. Your guests can move them around, place them in groups, or even fold them up and set them aside to make room for dancing. Nothing helps to define a party quite like the music. If the event is energetic, pick some tracks that reflect the tone. Likewise, if you’re planning for an elegant soiree, some light jazz or rock oldies provide the perfect background music for your party. 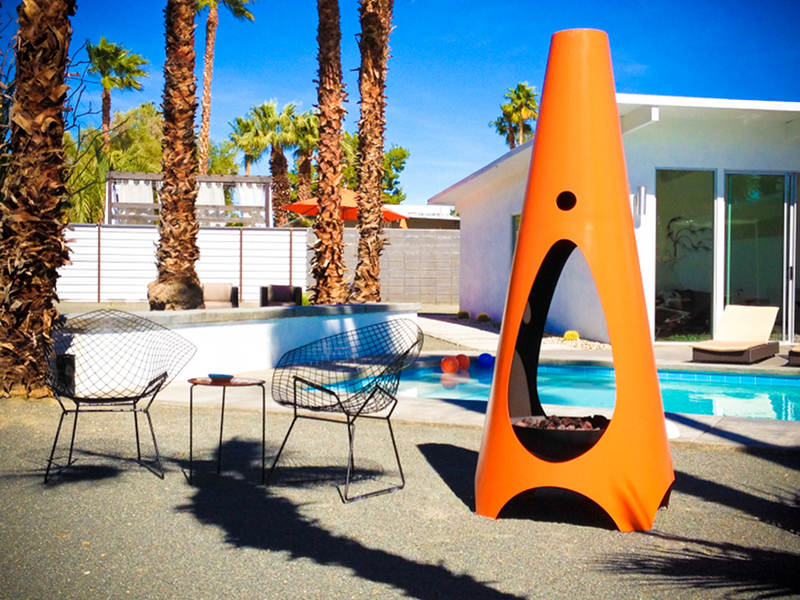 Whether you host your party in the atrium or out in the backyard, keep the volume low. This fosters conversation between partygoers and will keep the neighbors from getting too upset about the noise next door. Before planning the party,think about your guests. Do any of them have special diets? Is anyone allergic to certain foods? These are considerations that should form the foundation of your decision-making process when coming up with a menu. After that, plan a menu in line with the tone of the party. A wine and cheese gathering should feature multiple kinds of antipasti, cheeses, and fruits like grapes and strawberries. A potluck party is great if you want people to sit and relax for a while. Small hors d’oeuvres that can be eaten with one hand are better for casually elegant events, but sometimes a gourmet barbecue is the perfect party. With a little planning, the menu can be creative and as individual as you are. Especially when you’re hosting a nighttime party, lights are absolutely essential. Gather a mix of lanterns, Christmas twinkle lights, and candles to create different moods. Lanterns can be hung in corners of the patio or the atrium, as well as in different parts of the yard to help define the space. Christmas lights look like hundreds of tiny stars when strung overhead. For a romantic feel, place some floating candles in your swimming pool or in large fishbowls around the space. Waterproof and rechargeable, these globe lights can be used both indoor and outdoor. Because they’re waterproof, you can even float them in your pool or any water feature you may have on your property. 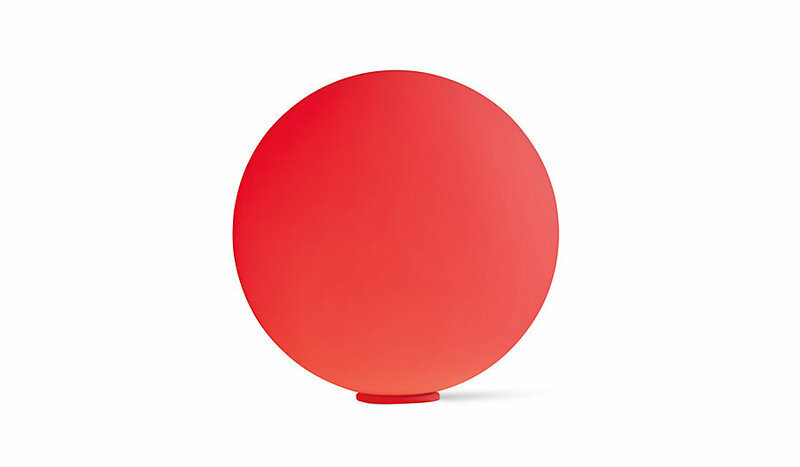 The injection-molded polyethylene globe is white and comes with 36 interchangeable color LEDs, so you can customize them to your party’s theme. Let your beautiful home serve as the backdrop for your party. With a little bit of planning and a big deep breath, it’s easy to throw an utterly fabulous outdoor party. If you are looking for the perfect outdoor entertaining space, please contact us and we can help you find the perfect home. Slice Deli And Cakery - Come for the meat, Stay for the Sweets!